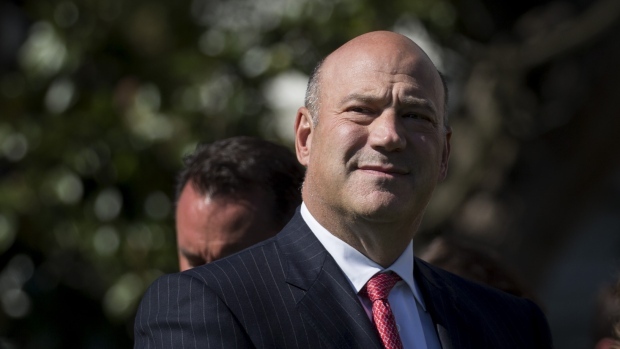 Gary Cohn, President Donald Trump’s former top economic adviser, said trade disputes could wipe out the economic benefits of the tax cuts Congress passed last year and may even cause growth to slow. “Yes, it could,” Cohn said when asked if a trade war could cancel out economic benefits from the tax plan Trump backed. He was speaking at an event sponsored by the Washington Post on Thursday. Cohn added that an escalating conflict over trade could even provoke a recession in the U.S. Tariffs feed inflation and raise consumer debt, which historically have been ingredients for an economic slowdown, he said. “You never know what leads you in it until we’re in it," Cohn said of recessions. He also suggested that Trump’s focus on the trade balance is unjustified. “I have always said a trade deficit doesn’t matter,” Cohn said.